We work for all types of events that come to mark important moments in your life. What better way to animate a wedding, a birthday, a bar mitzvah, a baptism, an evening with friends, than to add at these moments an animation worthy of the name! The caricature animation is done for that! Imagine the complicity of the people you invite and allow them to have fun together by discovering their caricature. Moments of franche fun guaranteed. 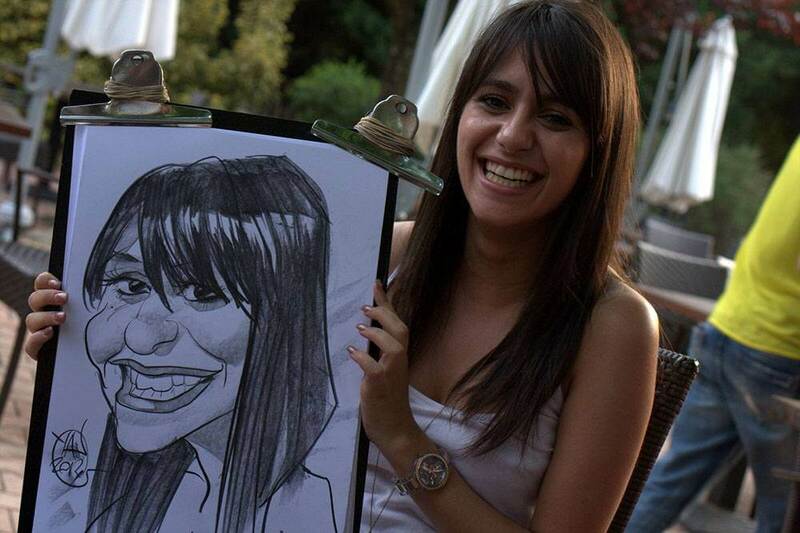 We intervene on the place of your event to one or more caricaturist artists. 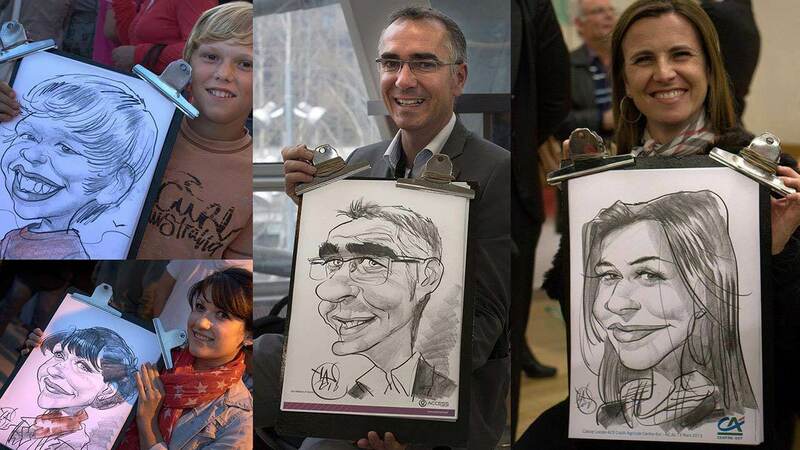 We draw the guests, the family causing a good laugh from the entourage! 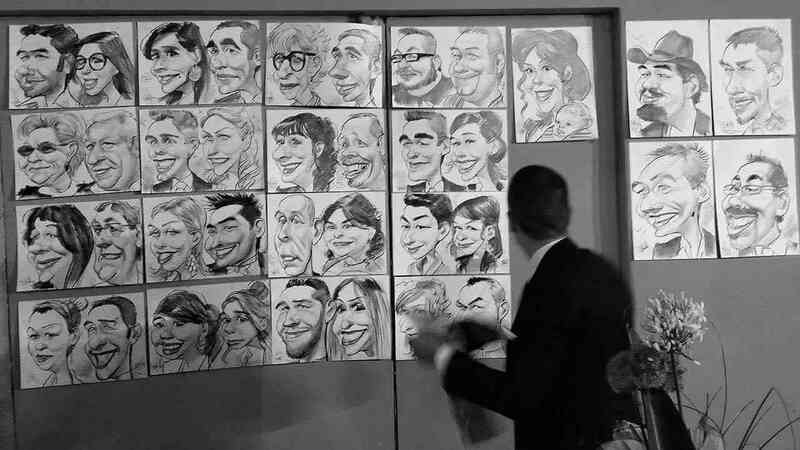 Everyone leaves with their personalized gift directly where, we can keep the caricatures to make a wall so that everyone appreciates the “heads” of people he knows until the end of the evening! We are very happy to animate your evening with the cartoon animation for 20 years. 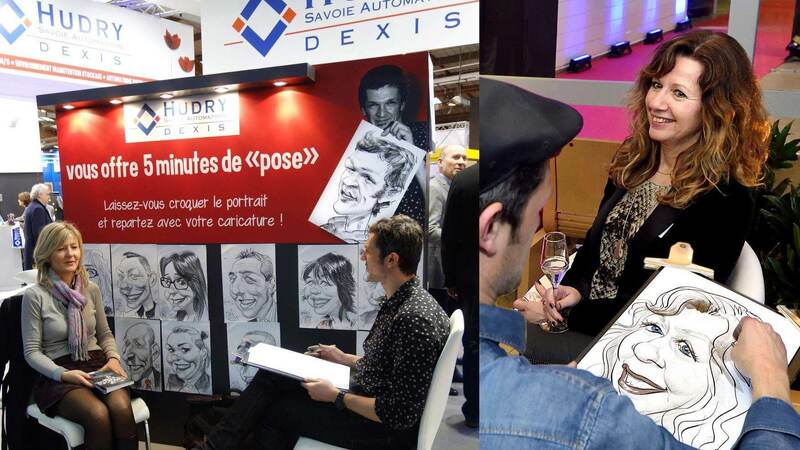 Make your event an unforgettable moment with caricaturist animation. 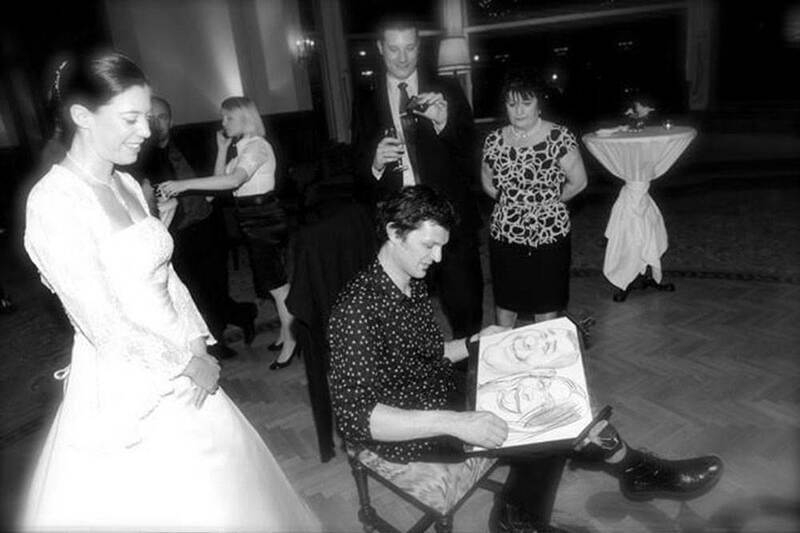 Customize caricature sheets with a reminder of your printed event. 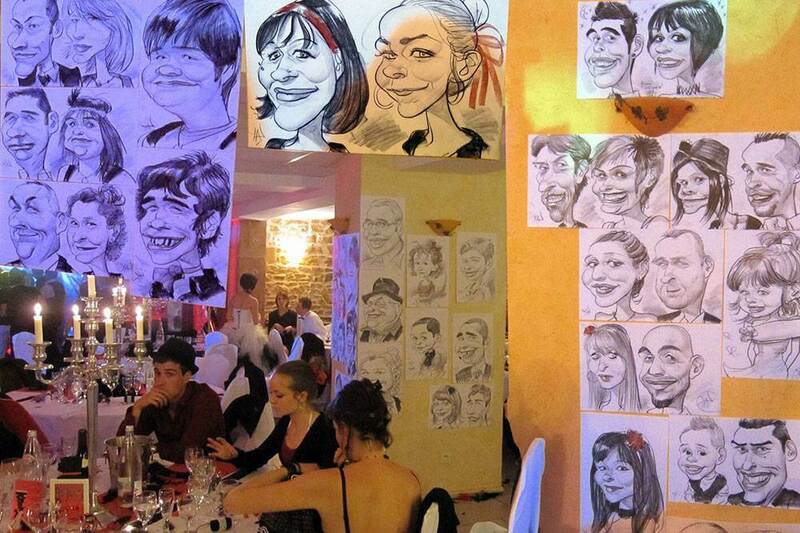 We hang caricatures so everyone can enjoy them all night long. 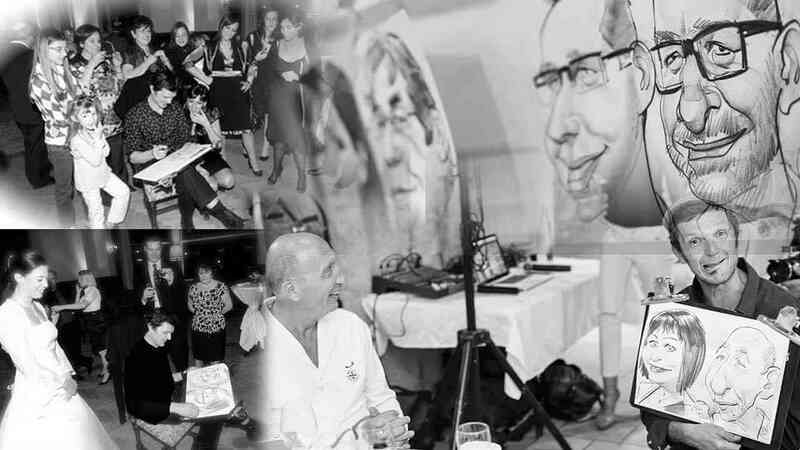 To ensure that our caricature performance fits perfectly with your evening and the “colors” of your company, we propose you the customization of our caricature sheets with a reminder of your event, for example: Jean and Jeanne’s wedding. For an evening more than successful and cheerful participants! Contact us for any requests or to book your service!